"How do I find a Bolivian consulate?" is a common question we receive through our Bolivia Visa Forum. If you plan to travel to Bolivia you need to be aware that citizens of many countries are required to obtain a travel visa to visit the country. Depending on your travel purpose (whether you're touring or moving to Bolivia) you will either need a tourist visa (visa de turista) or a specific purpose visa (visa de objeto determinado). These can be obtained from the Bolivian consulate nearest you. (In countries that have both an embassy and a consulate, you would contact the consulate. Embassies don't usually handle immigration or visa matters unless there is no consulate nearby). 1. To find a Bolivian consulate in your country you can simply contact your local telephone company's information number and ask for the Consulate of Bolivia, Consul General of Bolivia, or Bolivian Consulate. They may be listed in Spanish. Try asking for the Consulado General de Bolivia, Consulado de Bolivia, Consulado Boliviano, or Consulado del Estado Plurinacional de Bolivia. If they respond that there is no listing, try asking them for a number to the Embassy of Bolivia or Bolivian Embassy. Or in Spanish, Embajada de Bolivia, Embajada Boliviana, or Embajada del Estado Plurinacional de Bolivia. On the top menu bar, click on SERVICIO AL CIUDADANO and a drop-down menu will appear. On that menu, click on CONSULADOS. This will open a page that will allow you to search for Consulates and/or Embassies of Bolivia, by country. Find the flag of your country and click on it. If you do not see your country's flag, click on the text below the flags that says Buscar Embajadas, consulados y secciones. This will take you to a search page where you can use a drop-down menu to look for your country name and find a consulate. If your country is not on the Bolivian consulate or embassy listing, that means there is no representation of Bolivia in your country. In that case, use the list to find a country near you. Citizens of countries in which there is no Bolivian consulate are allowed to use a Bolivian consulate in any country nearby. 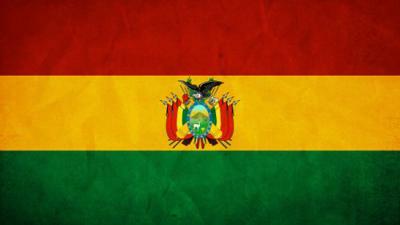 Click here to search for a Bolivian Consulate now. Click on Servicios al Ciudadano and then on Consulados.